1987 CBR100F - I've noticed I am getting a lot of fuel leakage at the two plastic t joints between the pairs of carbs. The t's look good - the leak appears to be from the joints at the carbs themselves - I am assuming the ethanol content of today's fuel has deteriorated these o-ring seals. 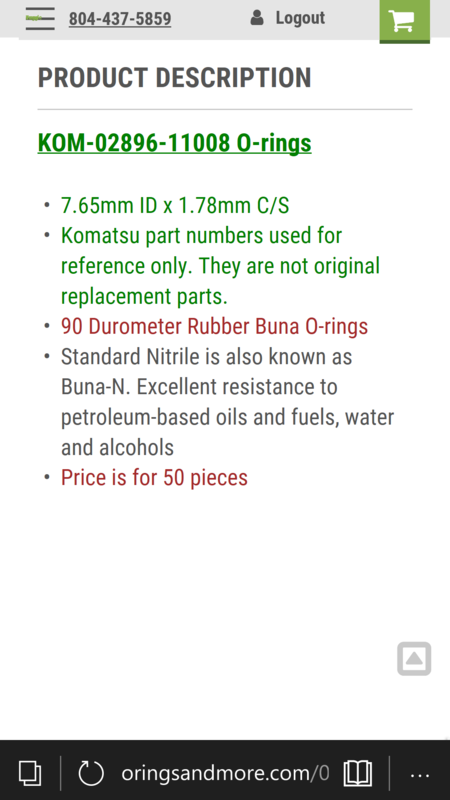 Google tells me they are Honda part number 16101-MM5-505, and while available, they are fairly expensive. In my search, I cam across this site - https://newmotorcycleparts.net/fuel_...l_o-rings.html where it looks like the o-rings can be gotten much more reasonably. My question to the group - does anyone know what size these o-rings are? I've read that they are a "non-standard" size, particular to Honda.Any input is welcome. Hey there, If you go to Harbor Freight, you can buy an entire set of O-rings of various sizes, one in metric and another in ASE. Both entire sets are cheaper than buying individual ones from a parts store. 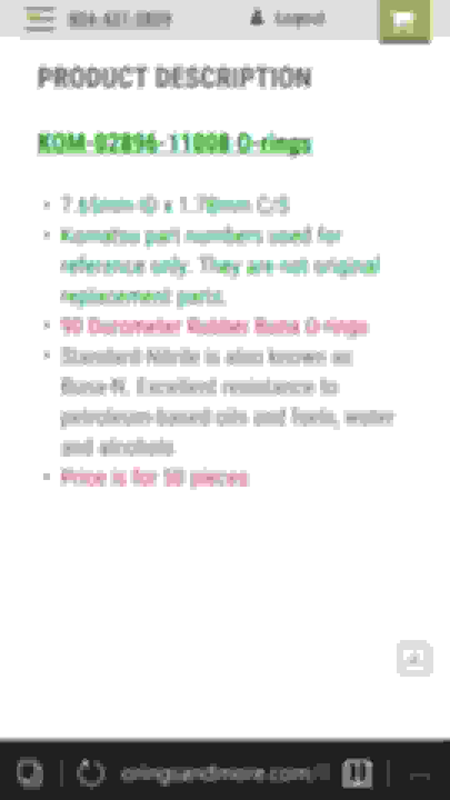 My concern would be the ethanol resistance of a Harbor Freight o-ring - and the references I've come across to the "non-standard" size - diameter and cross section of the Honda parts. The link provide at least claims to be ethanol tolerant - and the prices are MUCH better than for an "official" Honda part. Anyone know what size thes o-rings actually are - or what size will work to make the needed seal? I've never had any issue with the HF o-rings. They are rated for fuel. If you think about it, unless they changed the o-rings to specifically account for ethanol, the OEM o-rings probably aren't any better because your bike was built and spec'd prior to ethanol usage. I don't know the exact size for your t-fittings, I have always fitted them till they were tight yet but would fit and go from there. Never really had an issue. Be mindful, that Honda is known to use weird metric sizes for o-rings. Don't ask me how I know. I had the same issue and ended up paying the price of doing the job again. And that is what I am trying to avoid - some of my research has indicated the same thing - hence my question for the group as to the size of the "correct" o-rings. That said, Harbor Freight certainly isn't expensive and other than the time lost, may be worth a shot. For fuel look for viton and avoid buna material. Last edited by wooferdog; 07-29-2018 at 11:56 AM. To bring this to some sort of a conclusion - after much research, I found a reference to a similar problem in a list for CB750's. One of their folks said they had gotten an 8 x 2 mm o-ring at NAPA and said it solved their problem. Well, NAPA being just down the rod, I tried it. The ID of the O-ring is a bit bigger than the actual groove of the tee - but it was a snug fit into the carb body - and more importantly, it didn't leak!! Carbs are back on the bike and it is now holding fuel!! A few minor things to attend to, and it should be back on the road. While researching the issue, I did come across this site - Orings and More | Affordable and Quality Gaskets and Seals - they have all sorts of kinds and sizes of o-rings. I ordered some on either side of 8 x 2 mm just in case. You can't beat getting 10 to 25 for a dollar - and the shipping was only $3.00. If the problem reccurs, I've got a lot to work with. I did look at the Harbor Freight assortments, but unless there is one I didn't see, none of them went down to the size needed. Who rides in Shorts and Tee...hot day riding?